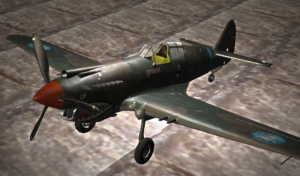 The P-40 Warhawk is an American single-engined, single-seat, all-metal fighter and ground-attack aircraft that first flew in 1938. 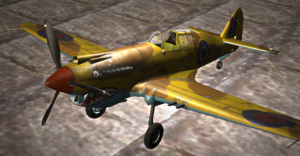 The P-40 design was a modification of the previous P-36 Hawk which reduced development time and enabled a rapid entry into production and operational service. 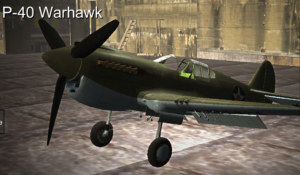 The Warhawk was used by most Allied powers during World War II, and remained in frontline service until the end of the war. 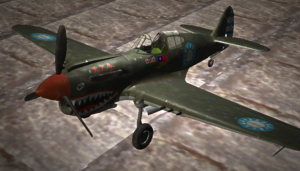 It was the third most-produced American fighter, after the P-51 and P-47; by November 1944, when production of the P-40 ceased, 13,738 had been built. 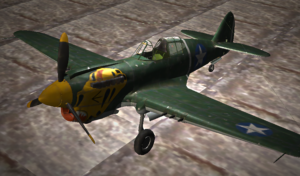 P-40 is a great fighter plane due to good durability and relatively fast. It’s also not too heavy for tight turns like other higher tier fighter planes. 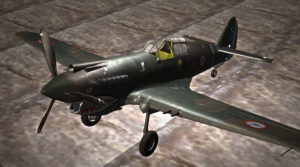 P-40 pilots could combine both boom & zoom and turn depends on different situations. 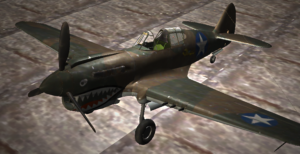 P-40 is also good for ground attack thanks it’s good bomb load and six .50 cal wing-mount machine guns. 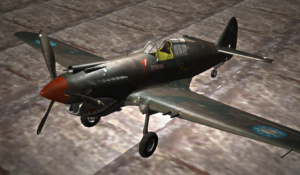 Pilots also should pay attention to gun convergence distance and set it at a good practical range, should be around (750 to 850 meters).